The BBC excels in gritty crime dramas. The Brits must love them because they send us a never-ending parade of psychological thrillers and hard-boiled police shows about thoroughly evil killers. 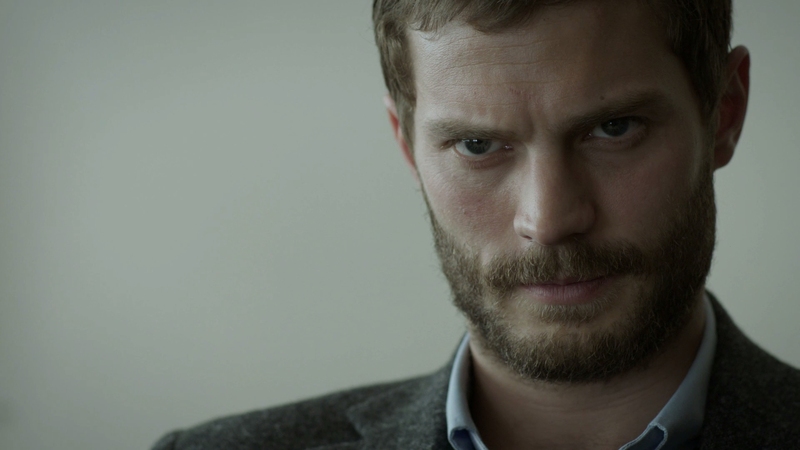 The Fall has already received a wealth of critical acclaim overseas, mostly focusing on the work of its two leads, Gillian Anderson (The X-Files) and Jamie Dornan (Fifty Shades of Grey). Anderson has particularly carved a nice career for herself after all those years as Dana Scully. 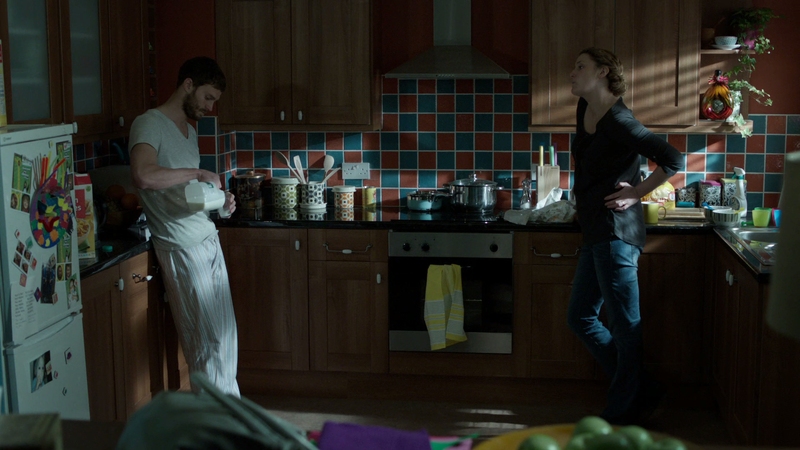 Both leads shine in the cat-and-mouse game played between their characters in Series 1 of The Fall. It is a taut, slowly unwinding thriller between an obsessive detective and a devious serial killer. 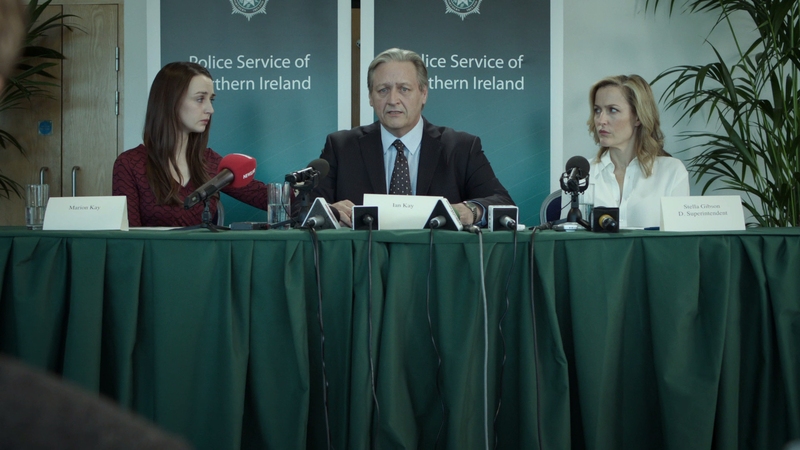 Gillian Anderson plays an emotionally detached British detective summoned to Belfast for help in solving a high-profile murder. 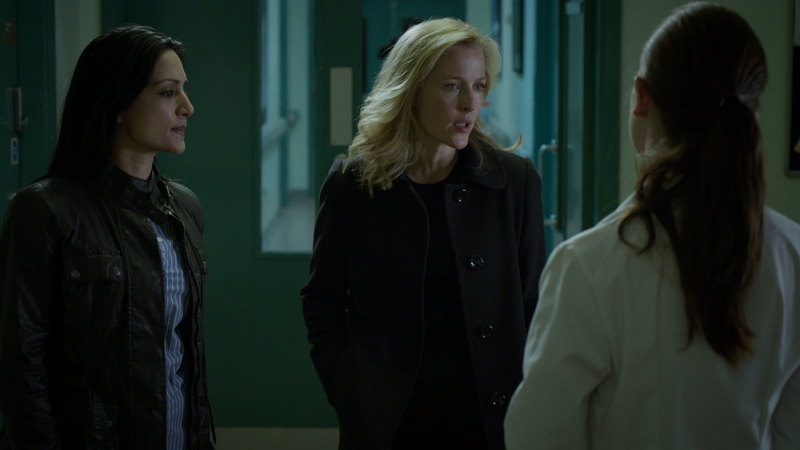 Her Detective Superintendent Stella Gibson is a smart detective with years of experience. 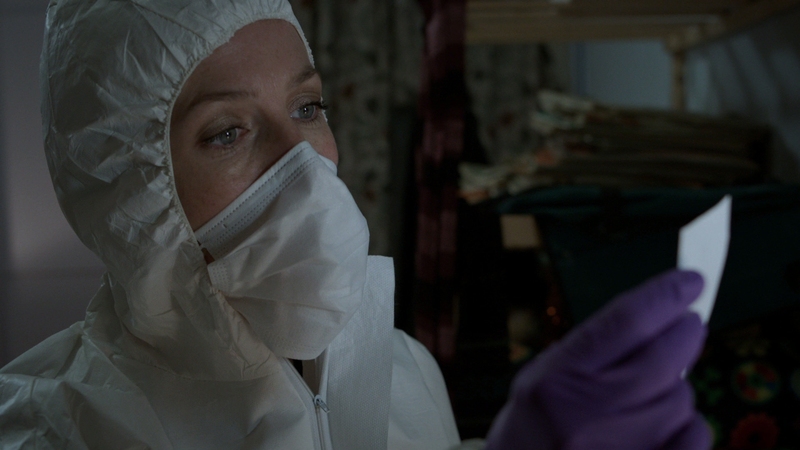 It is a highly mannered performance for the X-Files’ star, Gibson exudes a steely charisma in her investigations. A single professional in a man’s world, the older female detective obsessively hunts for the killer. She’ll confront venal police officers and an unsettling death personally connected to her on the way to solving these murders. A taut blend of suspense and psychological terror, this is a story that leaves no stone unturned. 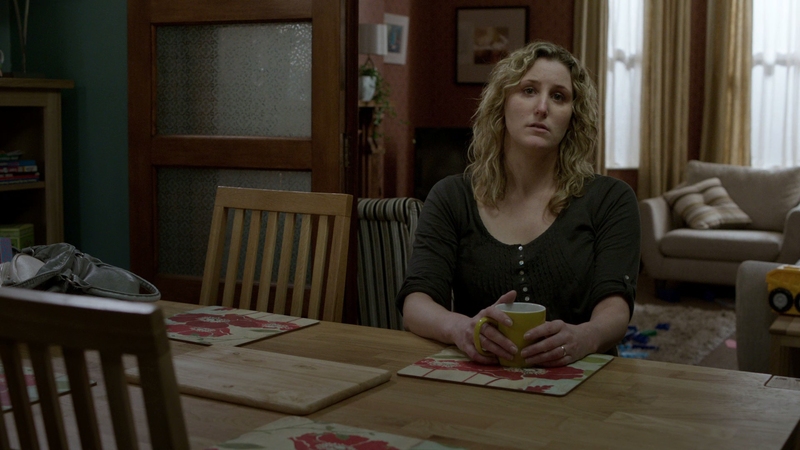 What draws Gibson to Belfast is a seemingly random murder that she soon realizes is the work of a serial killer. 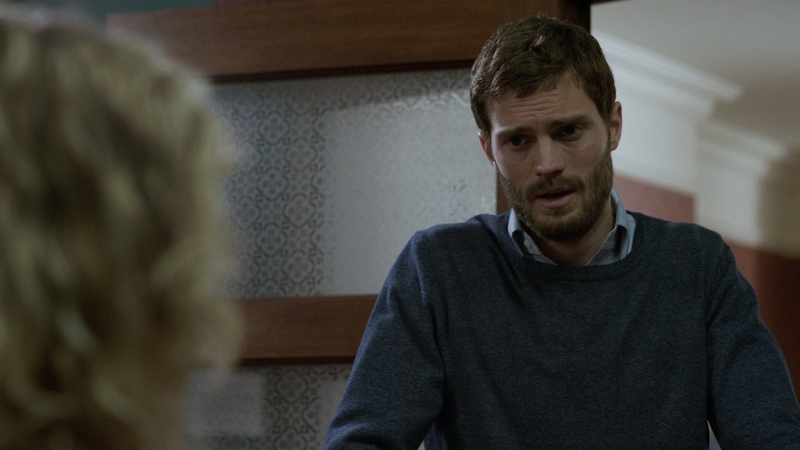 Paul Spector (Jamie Dornan) is an unassuming family man and grief counselor by day. In reality, he’s a cunning sociopath that targets professional women in their thirties, strangling his victims to death. Most will recognize Dornan as the erstwhile star of Fifty Shades of Grey. It was his work in The Fall that landed him that high-profile gig. 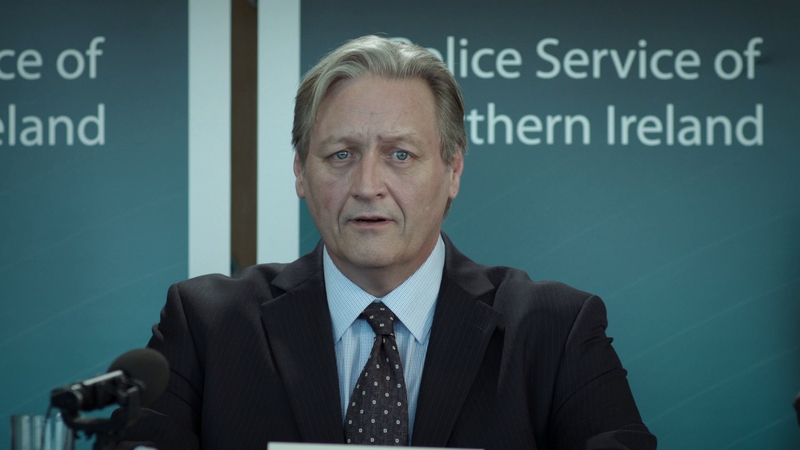 Whatever you think of that trashy film, the Irish actor’s performance in this show is a delicate, nuanced portrayal of a conflicted serial killer. He is clearly a star on the rise with a bright future ahead of him. The sociopathic Paul has to maintain his family life while hiding his work as a killer. He’s not the lone wolf killer so often shown in movies and television. Paul has a loving wife and two young children that adore him. There is a great irony in The Fall between its co-leads. Paul and Gibson are the opposite sides of the same coin. Both have controlling personalities and share some characteristics, except this time it is the serial killer with a loving family. 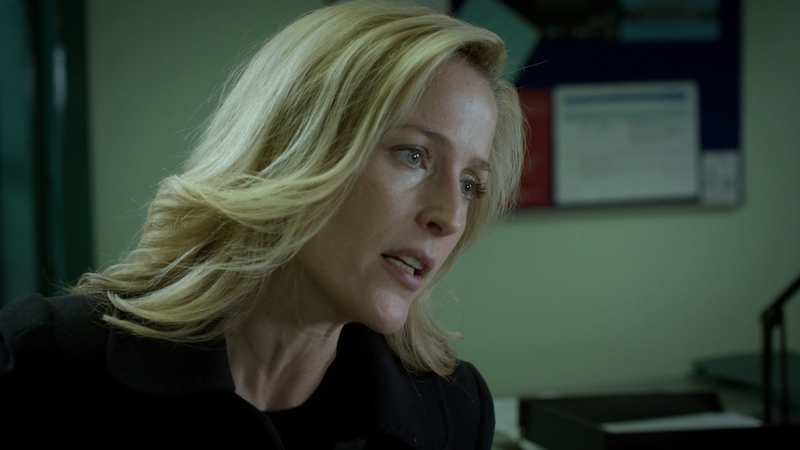 Stella Gibson’s icy demeanor and aloof character has isolated the senior officer, leaving her to focus on police work. She is unattached with few friends, despite being a successful detective. 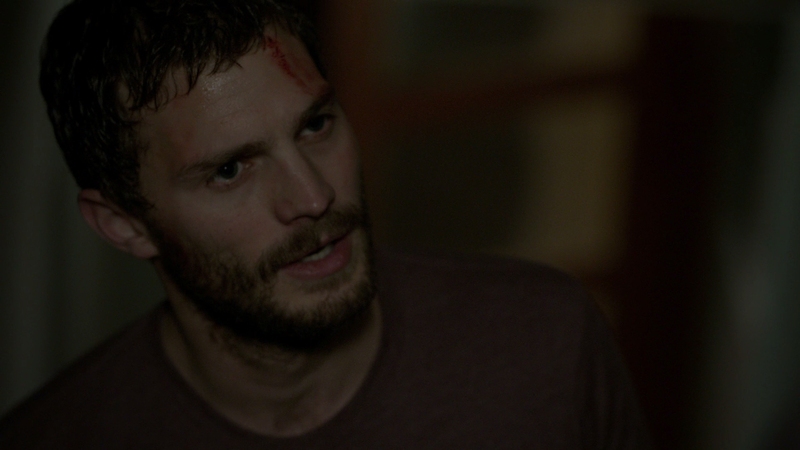 Make no mistake, The Fall: Series 1 is a wonderfully involved telling of the hunt for a serial killer. A taut blend of suspense and psychological terror, this is a story that leaves no stone unturned. 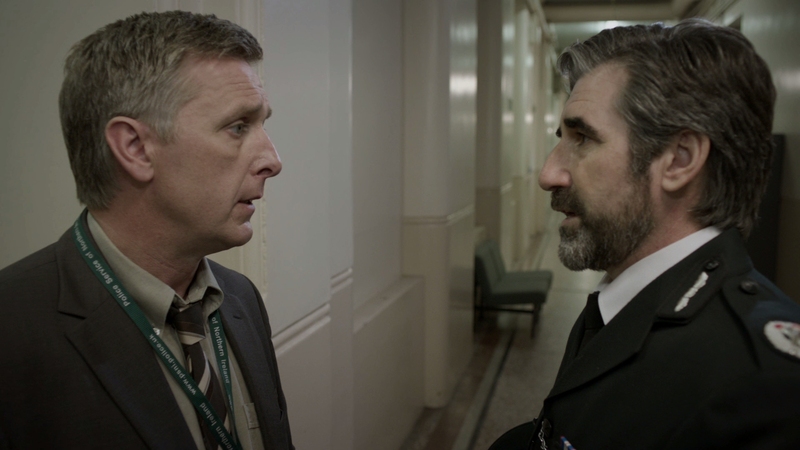 The police drama is crafted with a slow, deliberate intensity that teases the audience as Paul becomes more and more aggressive with his murders. The biggest fault in this set is not the show itself but how Acorn has had to divide the show into two sets. Series 1 covers five episodes but ends on a cliffhanger that feels like the halfway point of a much longer series. It feels that way because the story line doesn’t properly end in Series 1. You’ll have to see Series 2 for its proper conclusion. That may rankle some viewers. Acorn Media delivers an impressive Blu-ray presentation for The Fall. Filmed with Arri Alexa cameras, the 2013 BBC production exudes clarity and dimensionality in its 1080p video. I haven’t seen all Acorn Media releases but this is easily the most photogenic Blu-ray I’ve seen from the label. 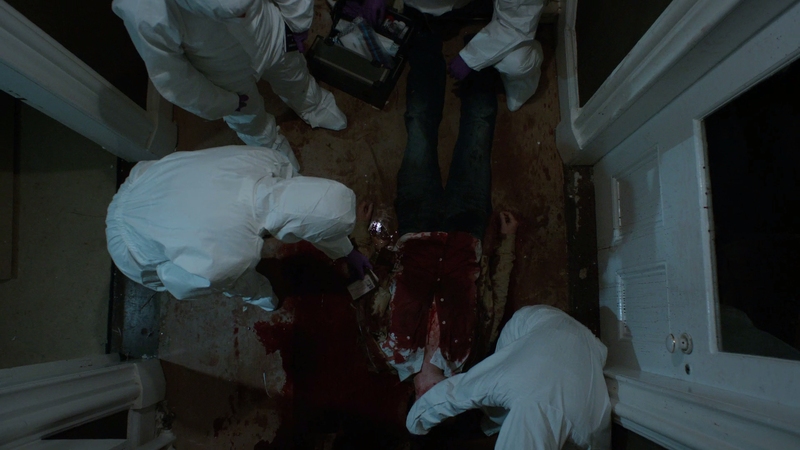 The only television releases matching this picture quality in the States are coming from the premium cable channels. The five episodes that fill Series 1 (what Americans would call season 1) are spread over two discs, a BD-50 and a BD-25. The video features a strong, thoroughly transparent AVC video encode. Averaging under 20 Mbps, the consistent digital cinematography looks immaculate without artifacts. A dark show of this subject matter would have almost certainly received a different color grading if produced in Hollywood. This neutral presentation keeps a nicely subdued contrast with perfect black levels. The sharp interiors are a little darker in tonality but exteriors shine with razor-sharp depth. Completely unfiltered, high-frequency content is seen with an abundance of outstanding fine detail. This is a perfect digital transfer for a show shot without digital composites, giving it a flawless transparency unmatched by heavy VFX shows. 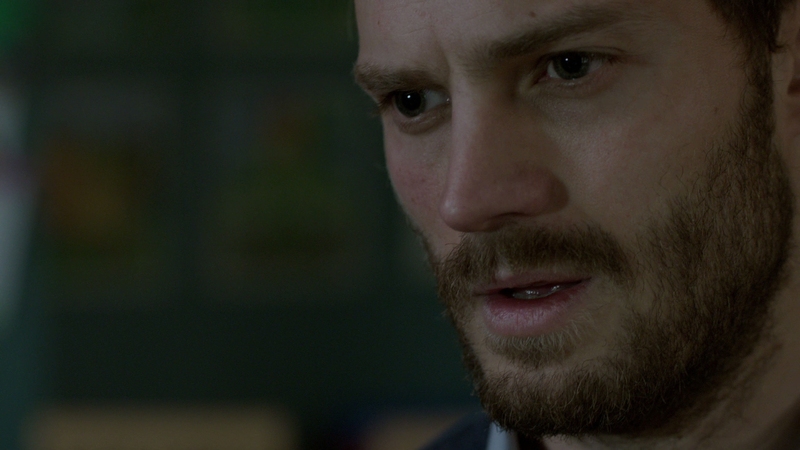 The Fall receives a quiet, somber 5.1 DTS-HD MA soundtrack with fantastic clarity for its dialogue. The dialogue-driven thriller has some nicely atmospheric moments to its score. This is moody audio that stays out of the way for the most part. Those looking for a discrete, highly immersive sound design are bound to be disappointed. 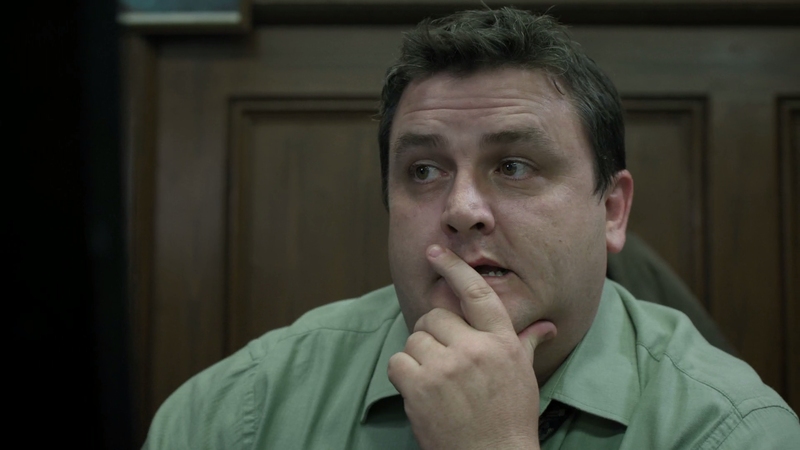 Some auditory cues surprise but that is mainly reserved for Paul’s more intense scenes. Acorn Media includes a glossy slipcover, matching Series 2’s Blu-ray set. The two-disc set comes with a leaflet advertising Acorn Media. The Fall: Behind the Scenes (12:56 in HD) – This featurette has the cast and crew discussing their characters and the series. 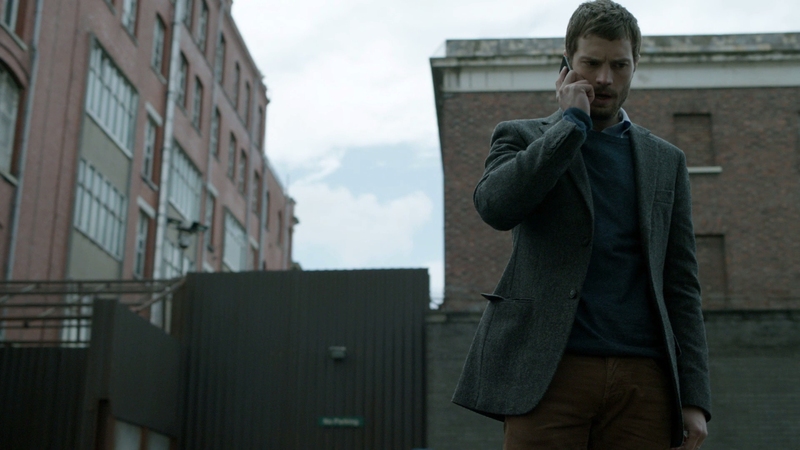 Both Anderson and Dornan play a prominent part, giving insight into the production process and some background information. Some on-set footage and clips are weaved into the freely flowing featurette. I’d consider it a nice, concise look into the series but with the caveat it should have delved into the show’s process with more depth.